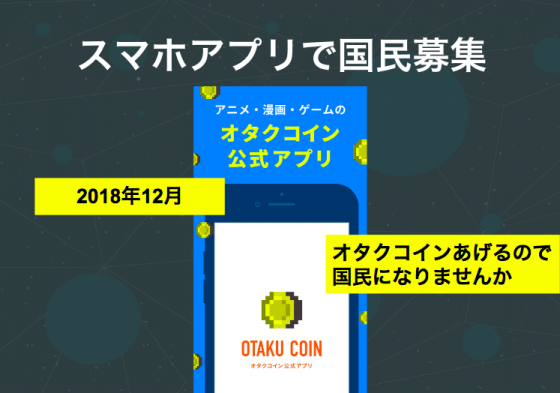 Tokyo Otaku Mode Presents: Otaku Coin Aims to Create a Nation and a Currency for 20 Million Otaku. Tokyo Otaku Mode and Medium were happy to sit down with Otaku Coin, the one coin that all Otaku should use for any otaku related activities, and asked a lot of intriguing questions! Below you'll find the entire interview so be sure to read through it thorougly and learn more about this new phenomenon in the otaku community! 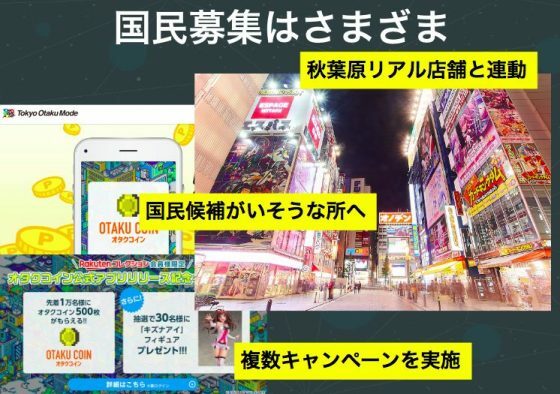 Shibata: You’ve recently created a new blockchain service called Otaku Coin. Could you briefly explain what your aims are? 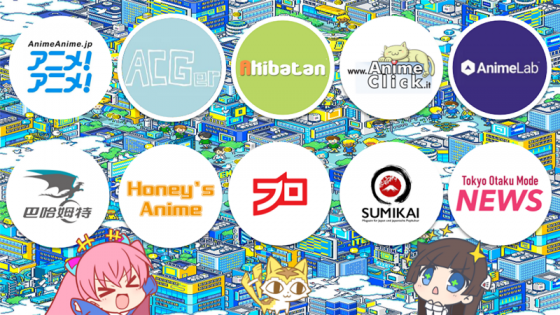 Ataka: In simple terms, we wanted to create a community currency that could be used in an otaku nation. 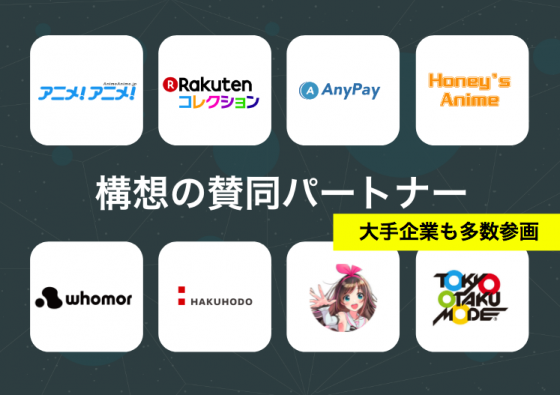 Tokyo Otaku Mode came up with the idea of creating a currency for fans, industry, and community, and then connected with various partner companies. These are some of the companies who have partnered with us. They include Hakuhodo and Rakuten to name a couple. Anime! Anime! is the most influential anime news site in the industry. Of course, Tokyo Otaku Mode is in there too. I’m sorry if this is a bit heavy, but until now people have existed in physical form constrained by national borders. Thanks to the internet everything is connected by the cloud and borders are no longer defined by nations but by interests and preferences. Japan is an ageing society. The money the government collects in taxes is used for welfare and social services. Now think about a nation filled with those who love anime, manga, and video games. They’d want to use the money to create the next exciting projects. The problem right now is that creators aren’t earning much, so if we could use tax money to support them that would be a good thing. The idea is to create a nation of like-minded people. That is to say, create a nation in the cloud — an otaku nation with its own currency. It’s a magnificent, mad idea. Shibata: Some people might not think much of it, but it sounds like a great idea to me. Also, in the case of your company, you already have more than 20 million fans on Facebook as well as overseas customers buying figures and merchandise from your online shop so I think you are starting from a strong position, it’s not as if you’re starting from scratch. Ataka: As for the market scale, we’ve got 20 million fans, that’s equivalent to the population of Romania. 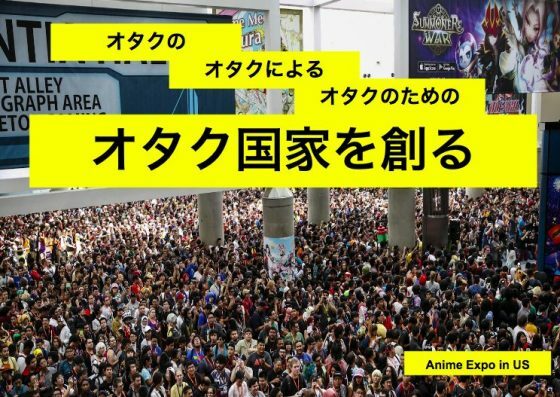 Shibata: To clarify, that’s 20 million fans on the Tokyo Otaku Mode Facebook page. Ataka: Exactly, yes. Also, according the the “Anime Industry Report” published every year, the anime industry is worth around 2 billion yen. When you add in manga and video games the value only increases. In terms of GDP and population, that’s the scale of the anime community across the world. So, if we can build a new nation it’s not unnatural to have a community currency too. Shibata: Quite right. It’s truly amazing. Ataka: Using blockchain we could make this a reality, but, as you know, various incidents last year have shown us that cryptocurrencies including blockchain have their risks. At this point in time there are doubts both in the industry and among fans (laughs). You can’t make a currency out of something that has a trust deficit. So what we’re doing now is we’re running an information campaign both in the industry and for fans. For example, many of the studios which produce anime have extremely long histories. There aren’t many internet or IT companies who can match them, and blockchain and cryptocurrencies are difficult to understand so it’s easy to see why they’d be worried. People say Korea has managed to dominate the market in flat screen TVs, but it’s not like there aren’t a huge number of Japanese products popular all over the world. We are Japanese. We want to protect the Japanese products that we’re so proud of — the anime, manga, and games which we would like to see become even more popular internationally. I believe blockchain’s true worth will be proven by a community of passionate fans overcoming national borders. If we can make information flow more smoothly across the web, the movement of value through blockchain will also become easier and value will flow more easily across the world. 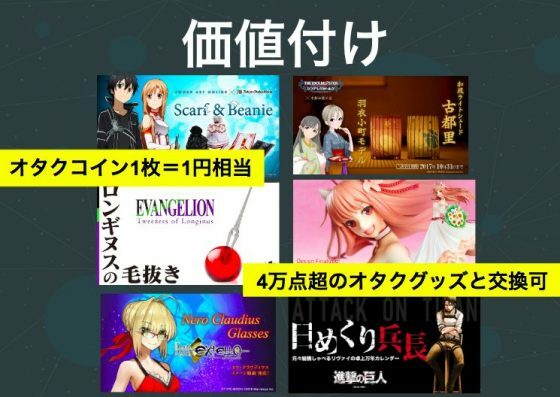 If this industry and community is to achieve this, then Otaku Coin is the first step. Shibata: Yes. It’s interesting, isn’t it? It’s very persuasive. Ataka: We’ve been talking this over every Saturday with a collection of people who feel the same about putting this plan into practice (laughs). Ataka: I have to add, if we’re calling this a nation, that we’ll have to start looking for citizens. These days it’ll be easy enough to find them through a smartphone app. That’s why we launched the Otaku Coin app at the end of last year. To begin with, no one really believed in us. To put it simply, we thought if we said “please consider becoming a citizen in return for Otaku Coins” that we’d get around 10,000 pre-registrations, but we got that on the first day! Shibata: How many coins were you offering? 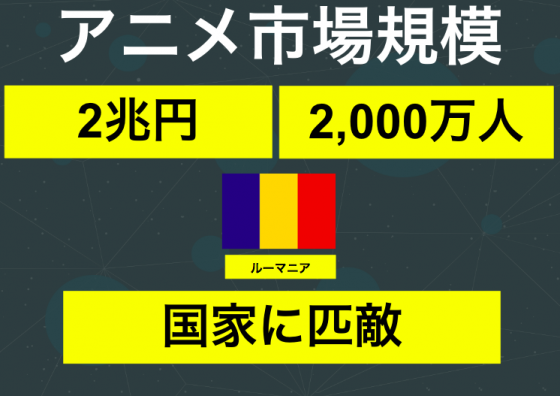 Shibata: 3000 coins x 10,000 people? Ataka: Yes. The total pool was one hundred billion. So we’ve given out around 30 million. Breaking down the 10,000 we can see that 60% are from Japan, 40% from overseas. The idea for the app is that you’ll be able to send messages of support to the studios making anime. The amazing thing is most of the messages are from overseas fans. Issuing a Community Currency Without Using ICO. 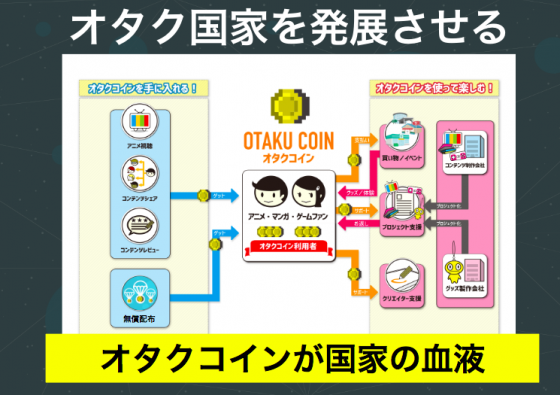 Shibata: Otaku Coin is a brilliant, beautiful idea, but doesn’t it feel kind of like an ICO? Ataka: We’re not doing ICO. We want it to flow through our community in the normal way. Maybe the “point” idea is kind of similar. But, in the case of points, you have stuff like Rakuten and T-Points but those are handled by the company’s respective databases. With this blockchain system, it’ll be more than just one company, you’ll be able to use them to pay for things across the whole community. Shibata: Who is issuing the capital for the points system? Ataka: There’s no “capital” to speak of. Like Bitcoin, the most valuable asset is confidence in the currency. For example, if we’re talking about Tokyo Otaku Mode, we sell around 40,000 otaku goods. For those goods, we exchange one point for one yen. Other companies too, say they charge 2,000 yen entry for an event you could exchange 2,000 points and get in. That way people can really see the value. When people use the points they’ll see they are definitely worth something. Shibata: So, the idea is that you put out a product and the value is generated when the customer buys it? Ataka: Yes, that’s right. Not just things though, services too. And it isn’t just the business but the community of fans who will profit too. That said, in the case that the business is a retailer, if you take payments in Otaku Coin but can’t change them into dollars or yen then you can’t use them for restocking. But then, there’s nothing officially preventing it under the laws and guidelines set down in Japan so maybe it’s possible. 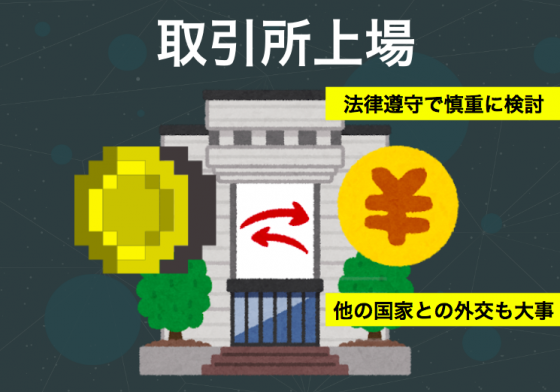 If we can sort that, then licensed exchange services like bitFlyer and Coincheck would be able to list the tokens and Otaku Coin could be exchanged for yen and dollars which you could use for restocking the business. Shibata: I am a person who’s interested in cryptocurrency, and after seeing numbers of cryptocurrencies getting issued, I haven’t seen many cryptocurrency that don’t do ICO. That is impressive. Ataka: Bitcoin didn’t do ICO as well, right? So, it’s something close to that. Shibata: Now that you mentioned it, true, Bitcoin didn’t do anything as well. Ataka: Indeed. People were holding Bitcoin. Then it became a topic that everyone talked about after someone exchanged 2 pieces of pizza with 10,000 Bitcoin. At that time, Bitcoin’s value wasn’t that high, so it was a totally natural happening that someone would exchange 10,000 bitcoin with 2 pieces of pizza. However, that’s a proof that Bitcoin had value. Eventually, the value of a currency comes from the trust and credibility that are given from the people, whereas more people trust it more value the currency gains. Therefore, instead of ICO, our direction is to create value. ICO is not necessary, yet doing ICO may be considered as borrowing credibility in advanced. Shibata: I completely agree with you. “The total value of a currency is the sum of credibility”, that’s a great explanation. Ataka: What ICO usually does is that, people present a blueprint of an utopia, then collect money from the users beforehand. It would be great that the utopia can be established, however a business or a service don’t usually go as easy as expected. In our case, we think that creating value by steadily building up credibility is the actual way. 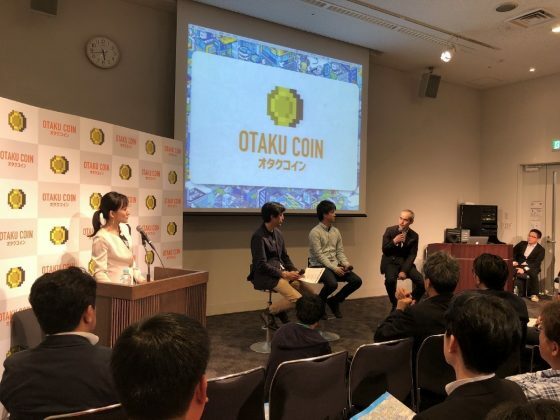 Of course, having all the money collected would make a business start faster, however, Otaku Coin Association is aiming to inspire the partners, fans, and the industry slowly and deeply. And that might be a shortcut instead. The anime studio interview project collaborated with anime news media among the world. Shibata: This is another topic. I heard something about returning the profits to the creators. So is it like Otaku Coin Association will be using Otaku Coin to help creators to have their profits in return, right? Ataka: I think there are many ways, and one of the most mentioned ways is “Social Tipping (donation)”. For example, if a foreign fan wants to donate 100 yen to a Japanese animator or creator, it might not be that easy, due to the high commission fee. Otaku Coin might help, but Otaku Coin is not completely necessary for donation. Yet we also want to do something that more impactful and dynamic to the fans and industry with Otaku Coin. As said, with internet, the transfer of information becomes smoother than ever, then with blockchain, the transfer of value will becomes as secured and smoother than ever. And I think one of the most dynamic parts is that it can help creators or contents to raise fund. Last year, there were many companies that use ICO to raise fund and started up. 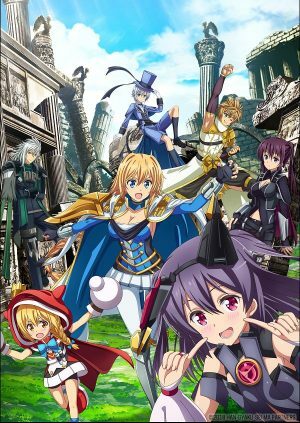 And I think that idea can also be used in the anime industry, in which, each anime title can start to raise its own fund with blockchain. Shibata: That’s right, without a fund, anime can’t be made. Ataka: Indeed. Currently, making a new anime costs around 300 million yen for 12 episodes. In the perspective of a startup company, 300 million yen as a fund is actually quite a large number. Moreover, about whether if it will be a hit or a failure, the percentage of becoming a hit title is only 1 out of 10, which is a high risk and high return model. In order to diversify the risks, the current solution is “production committee”. Raising 300 million yen fund for an anime title from around 10 companies, that means 1 company only needs to pay 30 million yen to take part in making an anime. The participants are usually the same. 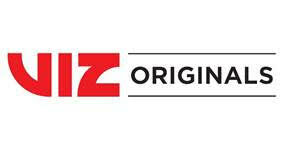 Dozens of contents related large companies keeps rotating and forming production committee, and keep creating new titles until one of them becomes a hit. This is indeed a smart way to hedge the risk from this high volatility business, but with blockchain, we can have the participants not only limited in Japan, but the companies, eventers, or even every single fan in oversea to raise fund. Since all anime fans wish to see the next title to be better, they would like to invest and support with a feeling that is not limited to monetary returns. 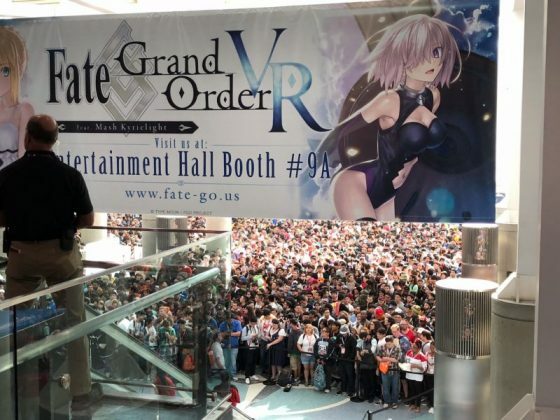 Anime Expo, the biggest otaku event in North America. Despite the entrance fee, 350,000 people participated in 2018. So if we say that there are at least 20 million people in the otaku community, gathering even 1,000 yen from one person, there will be a fund of 20 billion yen. Based on that fund, with everyone’s vote, I think something like investing in the projects that fans desire can be done. It might be a similar idea to crowdfunding, but I think it’s a further earlier fundraising just like from the VC. Shibata: That is a dynamic plan, and it sounds interesting! Ataka: Yes. I think that the current production committee system is very well done, but I think that it would be more interesting if we could show that there are different ways of doing so by integrating new technologies. Ultimately speaking, I think that this new ecosystem can bring more profit to the creators. Furthermore, no offence, but I think that animators and creators of today are passively getting jobs from the production committee, so they are considered to be a bit weak when it comes to position. 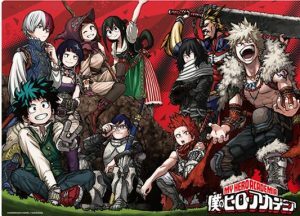 Instead of taking orders from the production committee, if the anime studios can use the money directly collected from the fans, and place orders to the companies that can enliven the work to the public, wouldn’t it be an interesting thing to try? 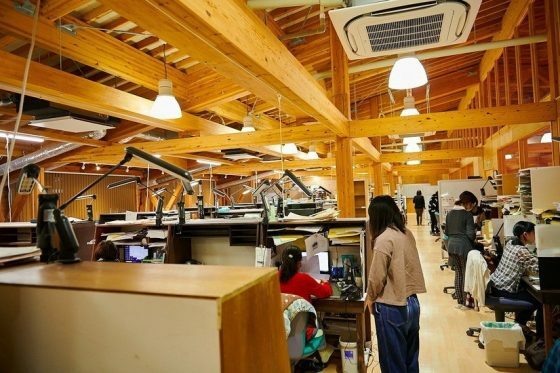 Shibata: It is true that it is the people from anime studios who truly produce the value. Ataka: Exactly, creators are the keys of producing works. Working space of P.A. Works / picture from the interview articles. 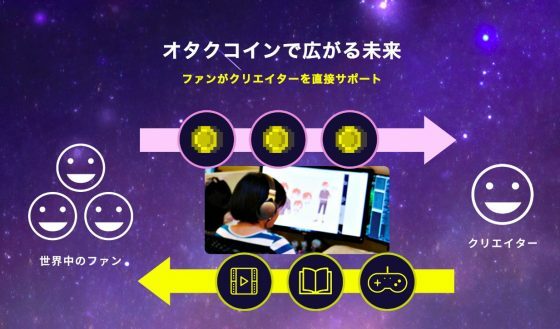 Ataka: In the Otaku Coin Official App that was released last year, we started a simple project to let the fans to send supportive messages directly to the anime studios. We collect quite a number of messages; currently we have collected more than 20,000 messages. I have been making many web services and applications in the past, but this is such a passion that I’ve never seen before. It seems like Otaku Coin worked well as incentive. 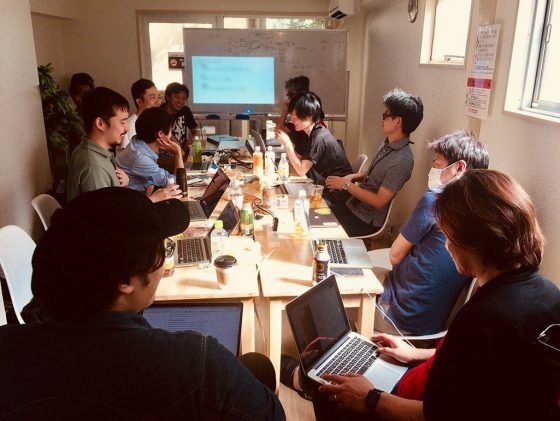 Shibata: After listening to your talk, I feel like it’s actually an amazing thought to let the currency circulate instead of doing ICO just like everyone else. 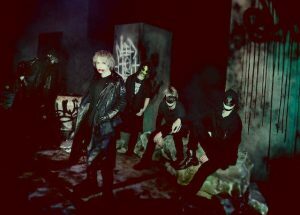 Ataka: Thank you. But actually in last year, there were plenty of happening in the cryptocurrency industry. I had talked to many people in the industry about our project, and received many negative feedbacks. Simply said, cryptocurrency and blockchain projects usually start with a minus credibility. 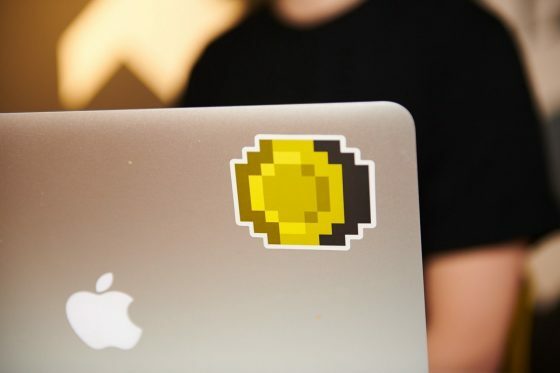 Yet again, the value of a currency is the sum of credibility, so in order to collect the credibility, we have to do branding, inspiring, and utilizing this technology. Despite the happenings, it would definitely be meaningful if we can surpass them. It most important thing is to tell our thoughts and share a common aspiration. Shibata: That’s really well said. That’s something that I don’t really hear from the people in the cryptocurrency industry and it’s refreshing to me. Ataka: Maybe, it’s because I have combined my experience from my main business. Shibita: Possibly. I think it’s because that your main business is stably growing so you can see it like this. Ataka: Really grateful for that. In the long run, when the transfer of value becomes smoother, I think that the operation of the industry as a whole and the speed of the growth of community will be different, when compared with not being so. Internet was used to only transfer information, but from now on, when the transfer of value can be made smoothly by this new technology, it’s going to be a totally different internet. Besides, Japanese anime, in this content industry, has to compete with all kinds of popular and strong contents. 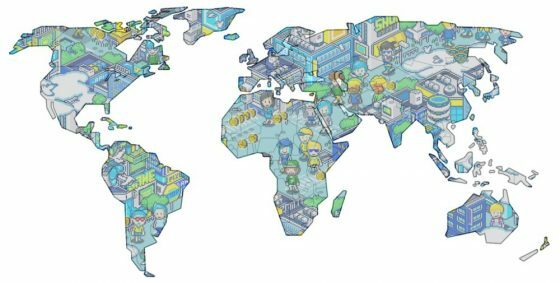 In competing with such popular contents and grabbing attention from fans’ limited time, I think that it is better to think about how to create value in the global with this industry as a whole from a bird’s-eye viewpoint. We are people who put more concern to IT, and we would like to tell the industry and the community that we can use weapon like IT. Following the Internet, now, “a new sword named blockchain” has come up, so I think that it would be nice to be able to proceed smoothly to use it properly. Shibata: That’s amazing, and we’ll be looking forward to that. Thank you very much for your talk in such a busy schedule today. Grab the Otaku Coin App! I do hope this takes off in the long run because it really is cool! Yeah, the concept is definitely great! Crunchyroll Announces 3 More Additions to their Spring Lineup!